Following the passing of Winston Heath, we are staging our SAR All Dayer in Manchester on May 18th as a Memorial Event to his life and achievements. We were originally staging this as a Dave Godin tribute, but we are sure Dave would not object to this sad change of plan. As such we cordially invite all of Winston's friends on the Soul scene to an event which will embody his lifelong stance against racism and his love of Soul Music. (The Flyer shall shortly be altered accordingly). As the many, many people who knew him on the Soul Scene, are now aware, Comrade Winston Heath, a founder Member of SOUL AGAINST RACISM sadly left us last weekend. Winston touched a huge amount of lives and that is reflected in the outpourings of sorrow and affection across Facebook in the last 48 hours. The scale of tributes and the deep feelings exhibited publicly by so many, stand as testament to his character and strength, qualities which he put to full use in a lifetime of fighting as a dedicated Socialist, Trade Unionist and passionate Anti-Racism campaigner. Winston Heath's life journey was an honorable one. He was a true social Warrior, who never forgot some of his own earliest life experiences and what they represented in terms of racism and bigotry. He was a big man, in the truest sense of the word. His passionate love of Soul music was firmly entwined with a thorough understanding of it's relevance within the Black American Civil Rights struggle. He was a courageous, fiercely intelligent man of wisdom who willingly and freely shared those gifts with friends and Comrades. Winston also had a sensitive, artistic side to his personality, that he again shared graciously not merely in friendships and relationships but in his often poignant and profound poetry. His lack of fear in exposing these gentle observational aspects publicly, was a further admirable example of his character.. They were witty and also at times, quite beautiful and shall be missed by many who enjoyed them. SOUL AGAINST RACISM was formed 14 years ago and Winston was the very first person to agree that the group was needed. As such we worked together to build the first membership lists. In the years leading up to that Winston had been an absolutely staunch voice on the website 'Soul Source' where some nasty events eventually led to the forming of SAR. Personally to me, during those years Winston was a tremendous Comrade of the very highest calibre and we proudly acknowledge his work then and throughout the following years., during which he was a major force in overseeing the growth of SAR to a group of well over 3,000 members. We once joked at an All Niter that this would be ''job for life'' and Winston never shirked that reality, right until the end. 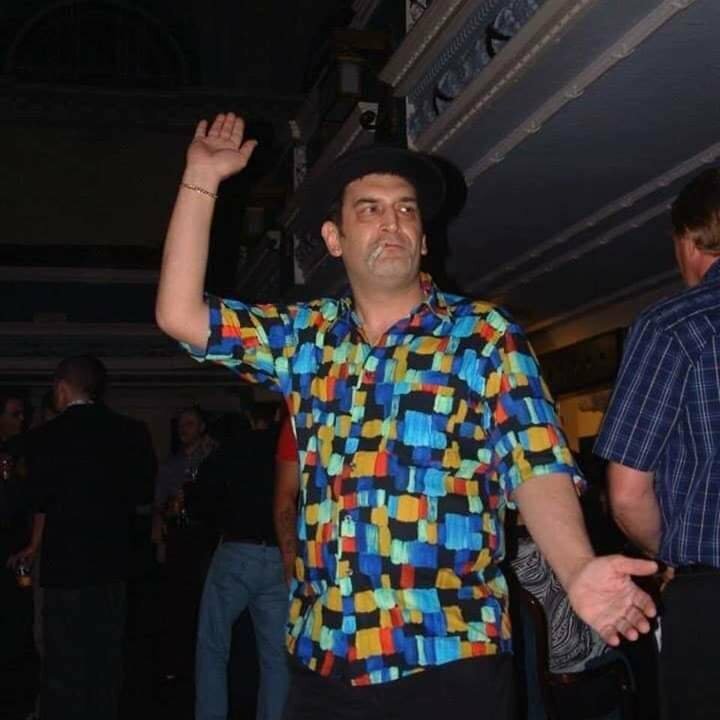 He also of course leaves behind him the legend of his ''52 Niters in a year'' a feat unlikely to be repeated at the age upon which it was embarked and something that he and John gifted to Northern Soul folklore. Like many of us, in recent years, Winston was deeply saddened and angered by the growth in Islamophobia and anti-immigrant prejudice, something he reiterated to me quite powerfully recently in our last PM conversations. His perspectives regarding such matters were astute and utterly consistent as ever, reflecting his own lifetime of experience and political service. He remained totally committed to the fight and was an inspiration to the rest of the SAR team right until his final weekend....I cannot speak highly enough of his contribution and efforts on behalf of the group, his was a unique and mighty input... But now Winston Heath has left us, his battle is over, his journey concluded....I know I speak for myself and the rest of the SAR team in saying we were truly honoured to have him as our Comrade and we shall miss his immense contributions dreadfully. .Thank you Comrade, rest in power, a battle well fought, with full honours., You will not be forgotten in so many hearts and minds and we salute you on your departure from the floor. Bad choice of dates as a large number of Winston's friends will be in Corfu. More Information has now been added which explains more about the event. On reflection best to keep my opinion to myself! Cant fault the sentiment of the group though. Agree 100% with you Derek this is not what Winnie’s friends are about it was his love of the music we should be celebrating not his political views. This is all wrong, your using Winnie untimely death for your own means to make a political statement one I’m sure his real friends would not condone. I’m certain it was well-intentioned, if a little too fast, so Im sorry for my slight harsh response earlier. Dont want any bad blood, you dont deserve that.